The fact that so many people are using modern headshots to promote themselves these days means that having a professional take your portrait is going to help you promote yourself in the most professional way possible. No one should ever underestimate the importance of modern headshots. 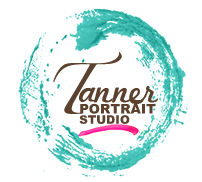 Portraits are one of the absolute best ways for you to present your image to the public. We offer a myriad of services to cater to your commercial needs. We focus on professionalism and detail in every photograph, so you can rest assured that your business is in the right hands when you choose us. Hours are seasonal. Please call for an appointment. Designed by Diana Ries Designs, Inc.